Events nowadays are as immersive as possible. Organizers plan out every detail to satisfy, wow and provide an all-out lasting experience to the viewers. Though the audio is important for any event, we should not leave out the opportunities that visuals and other effects can bring to the audiences. After all, everyone seems to be after multi-sensory experiences these days. Therefore, putting together a stage design that can engage the viewers can be quite a challenge. With the technology available today, possibilities are endless when it comes to stage design. There are hundreds of lights, special effects machines, and displays available to make your event truly memorable. But, with all of them found in the market, how can one tell what really is essential to make an event great? 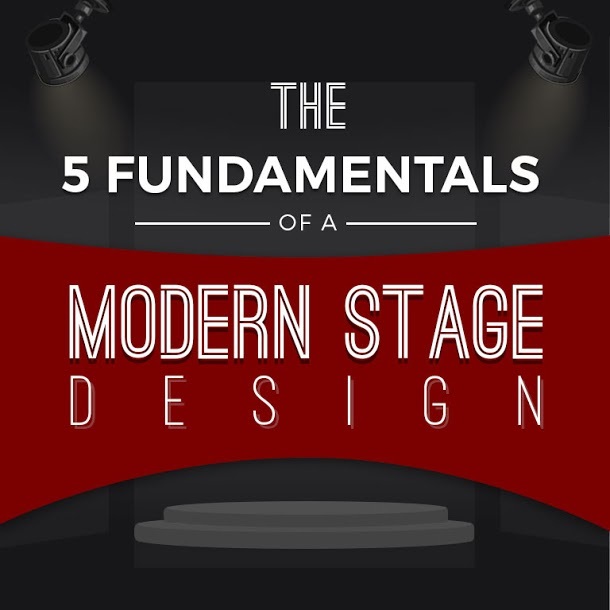 In this infographic, professional lights and sound rental company, Red Damien will discuss the fundamentals of a modern stage design. This will help you narrow down and choose which elements you can and should consider for your next big event.